Summer is here and with the summer heat comes the craving for frozen treats. The store bought ones are full of sugar and not so healthy additives. That's why I want to tell you about Popsicle Molds from LEBICE. I like being in control of my diet, and with these popsicle molds I am. 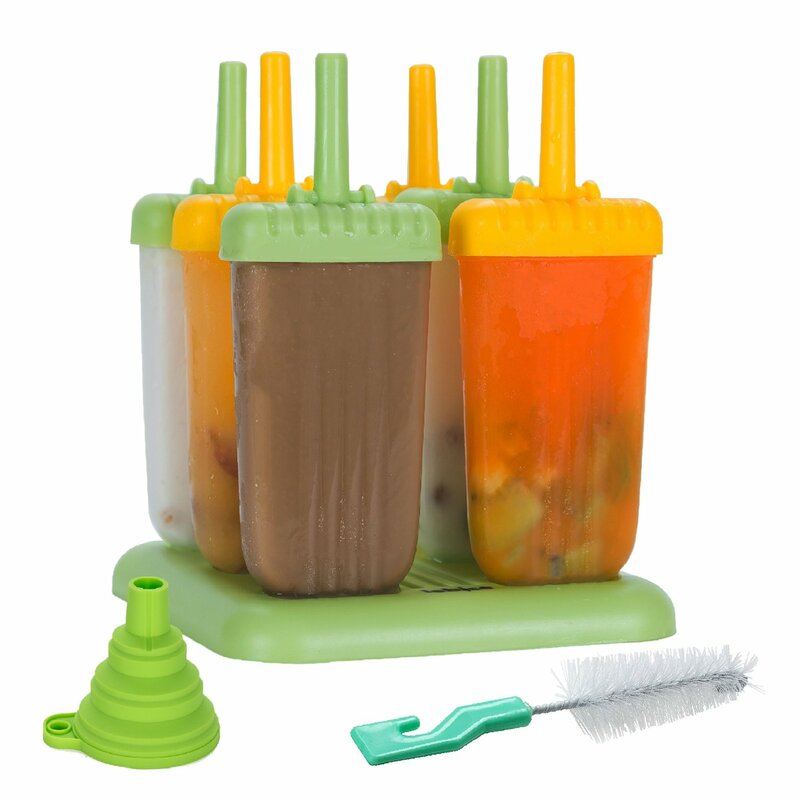 Fruit juice and chunks of fruit work perfectly in these molds and are so refreshing, not to mention healthy. Tastes so good it makes me feel like I'm cheating a little but there's no guilt. These molds are BPA free and FDA approved, and being reusable there's no waste involved. The set comes with 6 molds, a tray that keeps them standing stable in the freezer, a folding funnel and a brush to clean the molds with, and an instruction guide with a few recipes to get you started, then just let your imagination run wild. 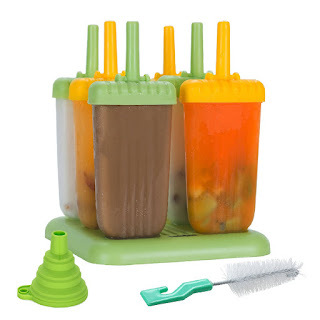 The lid of the mold is actually a drip tray when the popsicles are unmolded, so no sticky mess. So instead of buying frozen treats that are full of empty calories now you can make a healthy frozen treat that's full of vitamins and tastes delicious.